Tech degrees vary widely in terms of the concepts that they emphasize. While the term "information technology" may connote (to some) a low level troubleshooting role, information technology specialists study at the bachelor's, master’s, and, occasionally, even PhD levels. They often have just as much education as computer scientists. Information technology and computer science are both hot degrees for the tech-savvy. Both degrees signal a good deal of computer know-how. Graduates sometimes compete for similar positions. However, there are significant differences both in coursework and in typical career paths. If the school offers only one of the two degree options, the program may be something of a hybrid. When a single university offers both degree options, there is likely to be a good deal of contrast. Computer science grads and IT grads may ultimately compete for some of the same positions. A computer science program tends to be more science-heavy while an IT program includes more coursework in fields like business, communications, and management. The IT degree may take an interdisciplinary approach. A computer science major is more likely to spend significant time mastering algorithms. A computer science degree is sometimes considered more theoretical, an IT degree, more practical, but this will depend on the specific program – and whether the school has other computer-related degree programs, such as software engineering. The computer science student is typically far more of an expert at designing applications than an IT major. The IT expert writes some scripts, but is less likely to design programs from the ground up; the focus is more likely to be on modifying systems and making all the parts work well together. The IT student may take multiple classes in areas like network or database design and administration. The computer science expert is more likely to become a software developer or software engineer. He or she typically needs more advanced mathematics coursework. 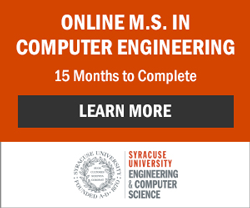 A computer science program tends to be more science-heavy while an IT program includes more coursework in fields like business, communications, and management. While a computer science major may work through the ranks as a systems analyst and go on to become a project manager, the IT major is more likely to have coursework specifically focused on project management. And, while a computer science professional typically has the minimum technical skills to set up business-related computer systems, an IT professional is more likely to be employed in situations that require working collaboratively with individual clients, designing and modifying systems to meet their needs. Professionals in various computer disciplines may focus on particular sectors like healthcare, but the way they do so will be different – from the software engineer focusing on embedded software to the IT expert managing databases. Even in the highest levels of academia, the focus can be quite different. At the Massachusetts Institute of Technology, for example, PhD students and faculty employed by the IT Sloan Information Technology Group study the economic and organizational impact of computer technologies. There is some overlap in program content. The information technology degree will likely include some coursework in programming. Computer science grads and IT grads may ultimately compete for some of the same positions. A recent example is network and systems analyst for the Threat Operations Center (NTOC). The NTOC lists computer science and ‘management information systems’ as appropriate related degrees; the candidate is also expected to have five years of information technology experience. The employer may list not only desirable degrees but desirable professional certifications. On the one hand, a professional can continue to achieve certifications throughout his or her career. On the other, wise program selection can mean graduating with not one but a number of credentials. Many students graduate with multiple associate or professional level certifications. Even positions in the same occupation classification can have different sets of duties-- and the employers may well favor different skill sets. The Bureau of Labor Statistics notes that some of the more technical computer systems analyst positions favor professionals with computer science degrees while other systems analyst positions favor candidates who have MBAs that include a concentration in information systems. Bachelor's Degree in Information Technology: What can you do with this degree?